CARE has been continuously active in Yemen since 1993, with projects that work towards reducing poverty. CARE’s work in Yemen has a common focus on community self-help and women’s empowerment, including women’s literacy, water management, capacity building of local organisations, emergency response, and relief assistance to refugees. Over three years of conflict in Yemen has led to more than 22 million people – 80% of the population – being in desperate need of assistance. Most of them are women and children. 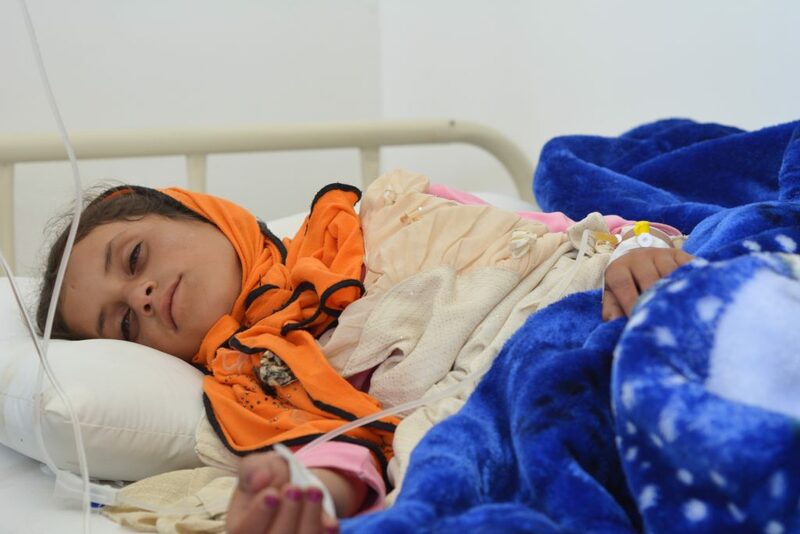 The ongoing conflict in Yemen has damaged hospitals, schools, roads, ports and electricity supplies, making it incredibly difficult to respond to this crisis. Food reserves and vaccine supplies are depleting quickly with nowhere near enough to help all those in need. CARE is in Yemen providing lifesaving food, water and medical supplies to those in need, thousands of whom will suffer from disease outbreaks if they cannot get assistance. More than one million Yemenis are already believed to have been infected with cholera, and more than 2,200 have died as a result. The World Health Organisation has called it “the worst cholera outbreak in the world”. Families are at a greater risk of death as they face the combined threats of conflict, famine and cholera. Read more about the current situation and how you can help. 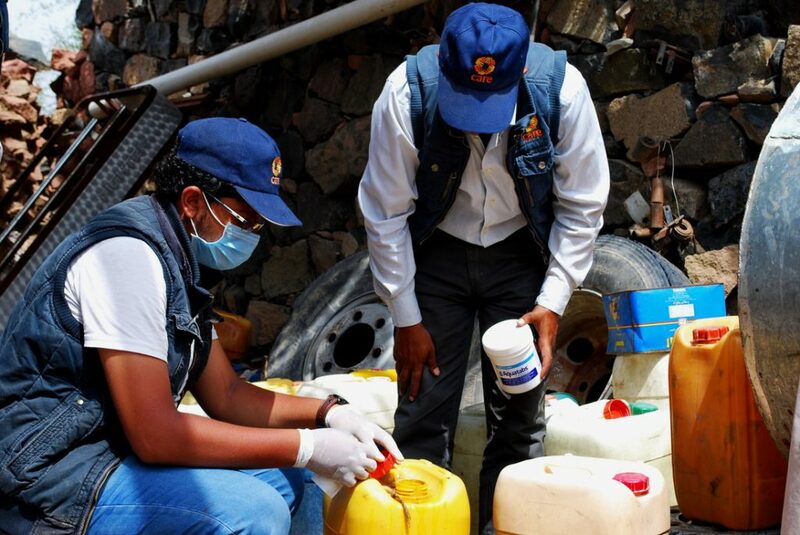 As a result of the prolonged conflict, critical water infrastructure in Yemen has been destroyed. Additionally, the large-scale and prolonged displacement of millions of people is putting pressure on existing infrastructure that is now shared between those displaced and the communities that host them. 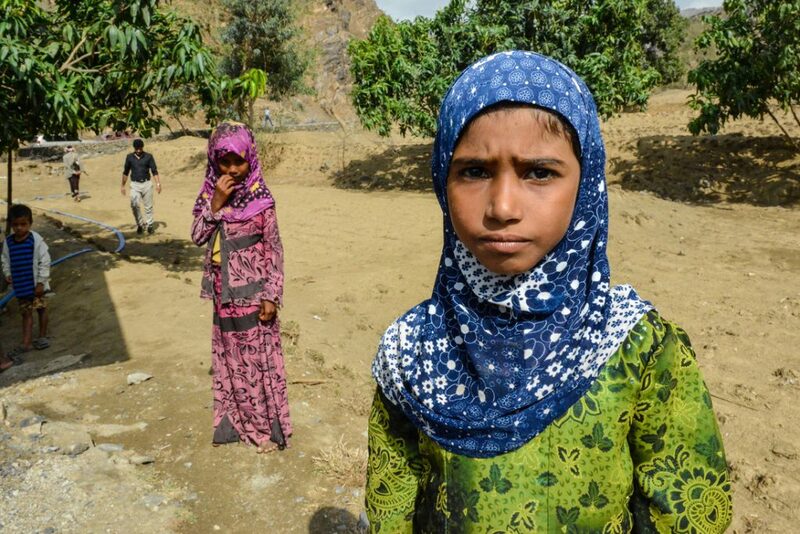 Women and girls in Yemen are forced to walk long distances – often several times a day – to collect safe water. 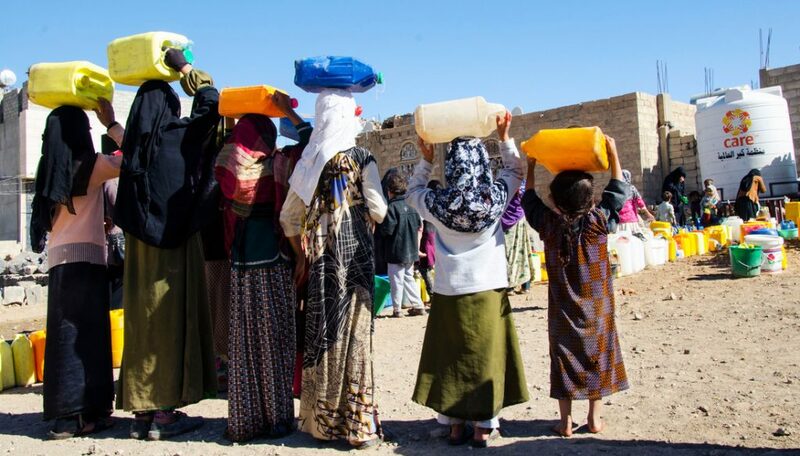 Where water is available for sale, it is often too expensive and therefore inaccessible to the majority of Yemenis who are also struggling through harsh economic times. CARE is responding by trucking water to communities in hard to reach areas, installing water tanks closer to community settlements, and rehabilitating water schemes and water supply networks that have been neglected or destroyed in the conflict. We’ve distributed hygiene kits, and trained community members on better hygiene practices in a bid to combat outbreaks of cholera, dengue and scabies. Food security in Yemen has been made worse by a dwindling economy, restrictions on food imports, disruption of markets and the lack of regular income opportunities for a vast majority of the population. The cost of basic food commodities in Yemen has increased due to economic instability and reduction of food imports, leaving many Yemenis unable to afford to feed their families. 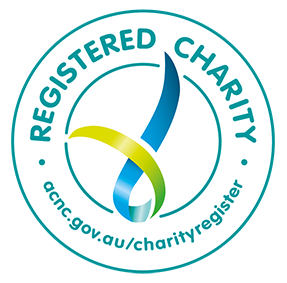 In order to improve food security, CARE distributes nutritional food baskets to vulnerable households every two months and provides food vouchers to families. Since March 2015, over a million people have been reached through these initiatives. Due to prevailing social norms, women and girls have continued to face barriers when attempting to access community services and economic opportunities. CARE’s economic empowerment programs are aimed at creating opportunities and enhancing women’s inclusion and participation in society. This is achieved through increasing skill sets and knowledge, and enhancing an individual’s potential for self-employment and entrepreneurship. Ongoing training has been provided to women on life skills, financial literacy, and business development skills, along with continuous mentorship and support to those starting their own business. Noor*, 25, lives in a small village in northwest Yemen. Noor, like millions of people in Yemen, struggles on a daily basis to survive. – More CARE evaluation reports from Yemen and other countries are available at CARE’s Electronic Evaluation Library.